I don’t think this has been posted before. DOMI has a Pittsburgh bike plan website with interactive map. I’ve been marking comments on their online wikimap. If you go to the wikimap and click the layers button in upper right, then “Turn On/Off Other People’s Responses”, you can “roll over” their icons or routes to read comments. For example, a lot of people commented on “The Chute”! 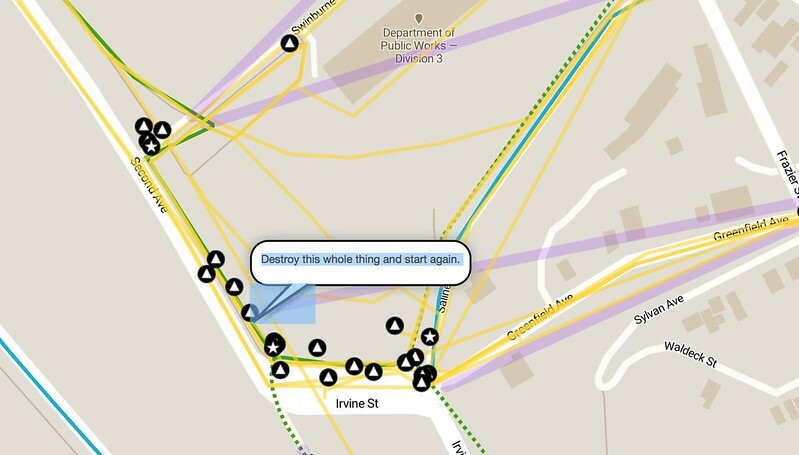 A number of people have contributed useful thoughts, all over the map. I wasn’t able to make it to any of the meetings on this. So, I’ve been commenting quite a lot. Hope it helps.